Weight Capacities (evenly distributed): Top: 300 lbs., Shelf: 100 lbs., Sliding Basket: 50 lbs. 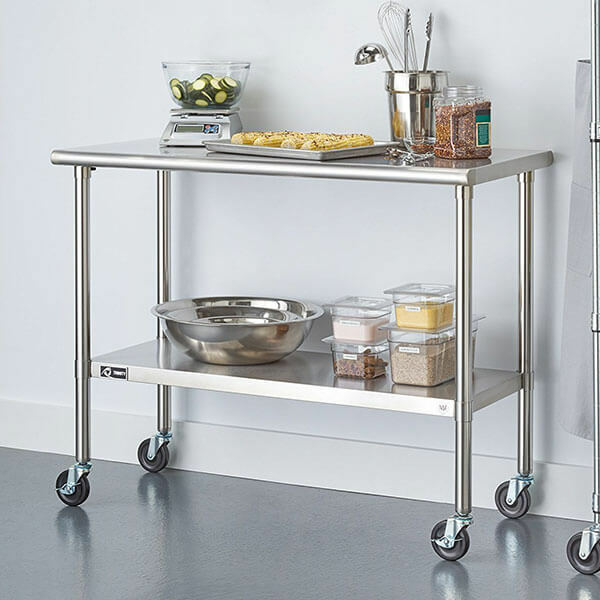 Sleek and modern, the Seville Classics Stainless Steel Professional Kitchen Cart is a durable kitchen cart made entirely out of stainless steel. It features a brushed 443 stainless steel top with chrome-plated baskets and legs. There are two shelves and caster wheels, which make it easy to move around. 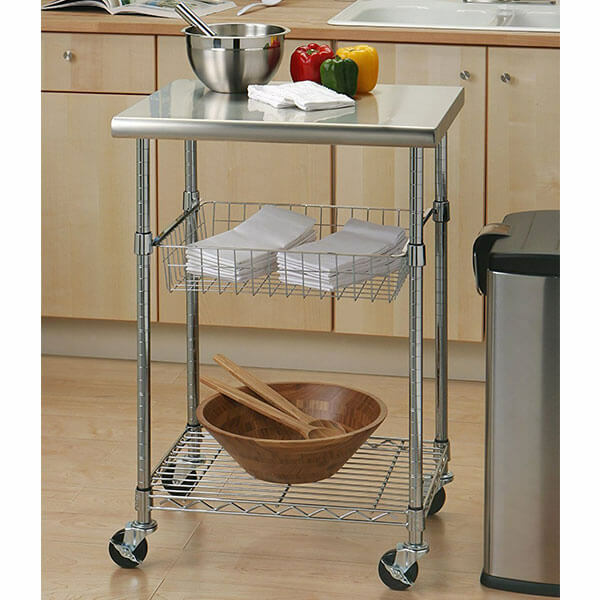 The EPG-Life 3 Tier Stainless Steel Kitchen Cart is a simple cart that can add functionality to your kitchen work space. It is constructed using high quality, industrial-strength stainless steel. Four durable wheels make it easy to move it to where you need it. The TRINITY EcoStorage NSF Stainless Steel Kitchen Chart is a simple cart that is made entirely out of stainless steel. It features a counter top as well as a shelf below it for storage, each of which can hold up to 150 pounds. There are four swivel casters for mobility. Top drawer dimensions: 17.3″W x 12.5″D x 3.3″H. 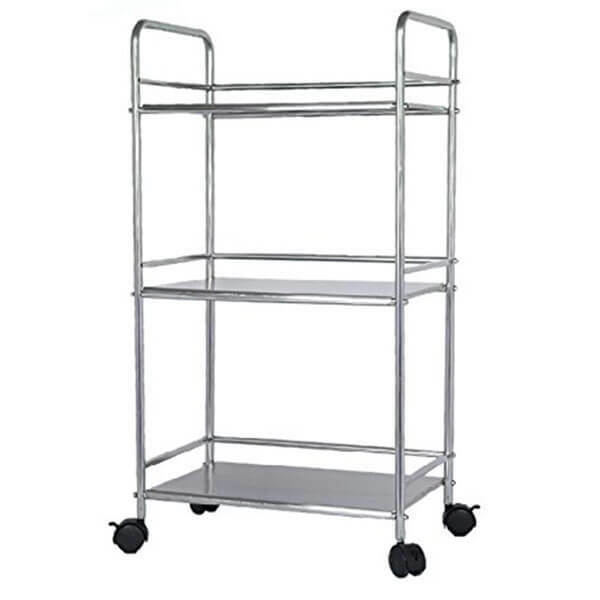 Overall size of the cart is 25.2″W x 16.8″D x 33.75″H. 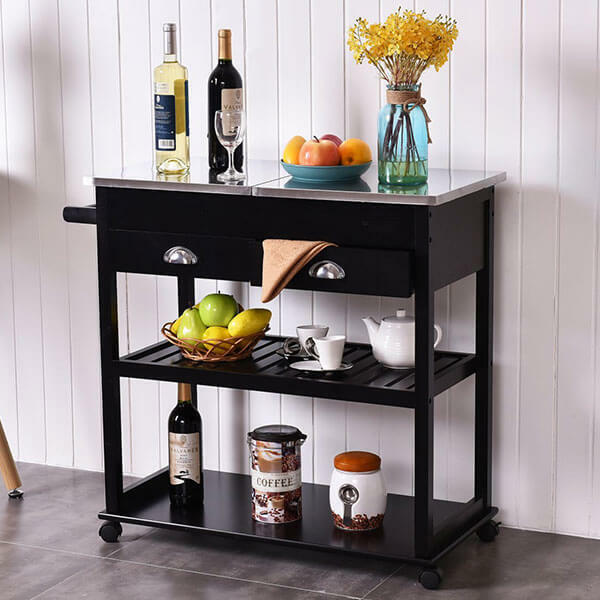 The Winsome Wood Stainless Steel Anthony Kitchen Cart is a simple cart that is crafted out of both wood and stainless steel. It has a top drawer for utensils, a towel rack, a removable serving tray, a slatted shelf and a solid shelf found beneath the countertop. 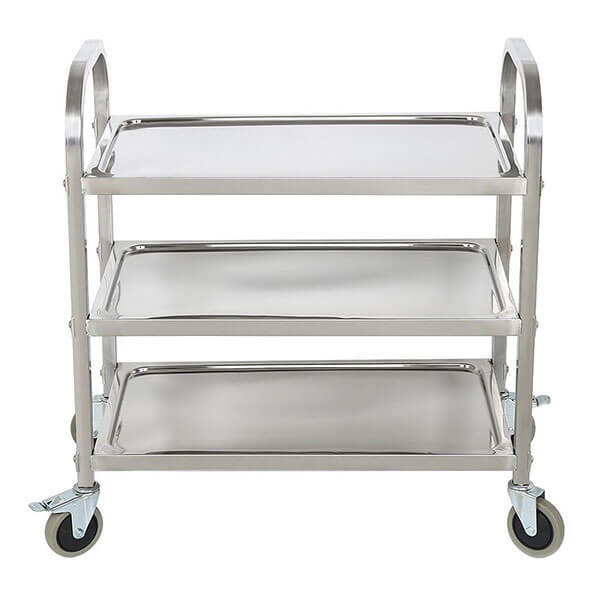 The BestValue GO Stainless Steel 3-Tier Kitchen Trolley Kitchen Cart is a classic kitchen cart made entirely out of stainless steel. This cart is simple to assemble and has three shelves, each of which can hold the weight of up to 70 pounds per shelf. It is finished with commercial-grade locking wheels. 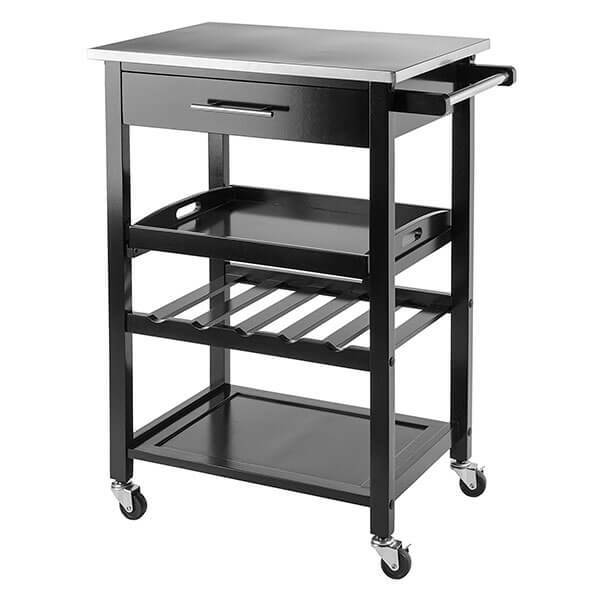 Black and modern, the Giantex Rolling Kitchen Cart can fit into any of your contemporary décor. This unit is made out of durable wood that has been completed with a stainless steel top. It has two drawers and two full-length general storage shelves. There is a towel rack that doubles as a handle.